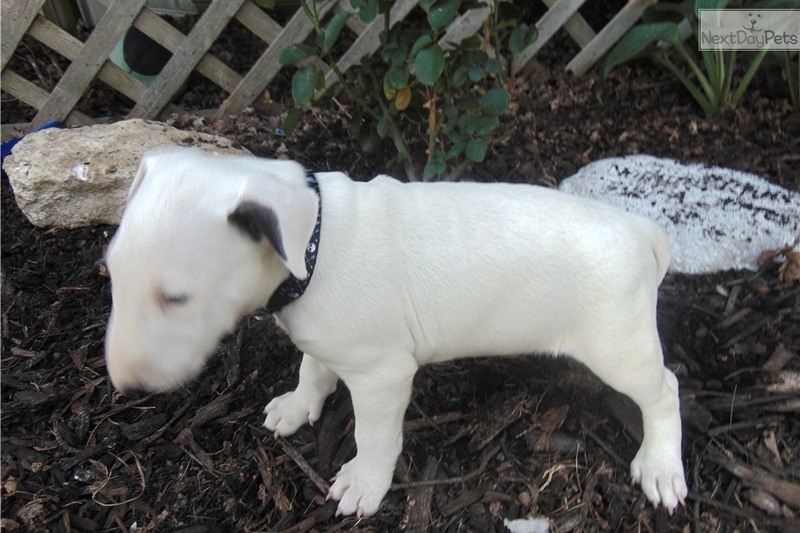 This Bull Terrier nicknamed White Male sold and went to a new family. This is the only boy of the litter. He has grown up with all girls so he has been taught to be a gentleman! He is playful yet very loving and layed back. If you are looking for a calm snuggle buddy he is your boy. Dam and Sire are OFA patella, cardiac, and BAER certified. This little guy is also BAER certified.